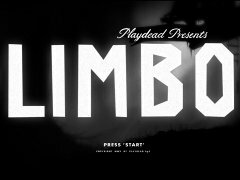 If you are an avid XBLA user, you’ve already had your fun with the creepy, atmospheric puzzle platformer known as Limbo. For those of the PC or Sony persuasion, you were left out in the cold, coming up with sour grapes comments like, “Oh, that’s just a version of Little Big Planet for Xbox Fanboys.” or “If it is console exclusive, it must be garbage.” Well, get ready to eat your words, because in mere weeks, Steam and PSN are about to get a taste of this enigmatic, cinematic, monochromatic morsel from Playdead. The release dates are announced, with PSN getting it on July 19th in the USA and July 20th in Europe. Japan PSN have got a bit longer to wait, but they can always get in on the global release for Steam on August 2nd. What’s that? You don’t play games, but you are a total audiophile? Well, even YOU can enjoy Limbo by grabbing the soundtrack on iTunes starting July 11th. Perhaps most tantalizing of all, the Playdead folks are promising a little extra secret. Eeeeeee!